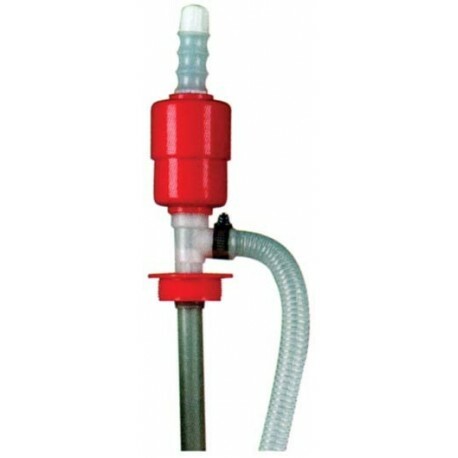 The upright polyethylene 55 GALLON PLASTIC SIPHON HAND PUMP resists UV materials and solvents. 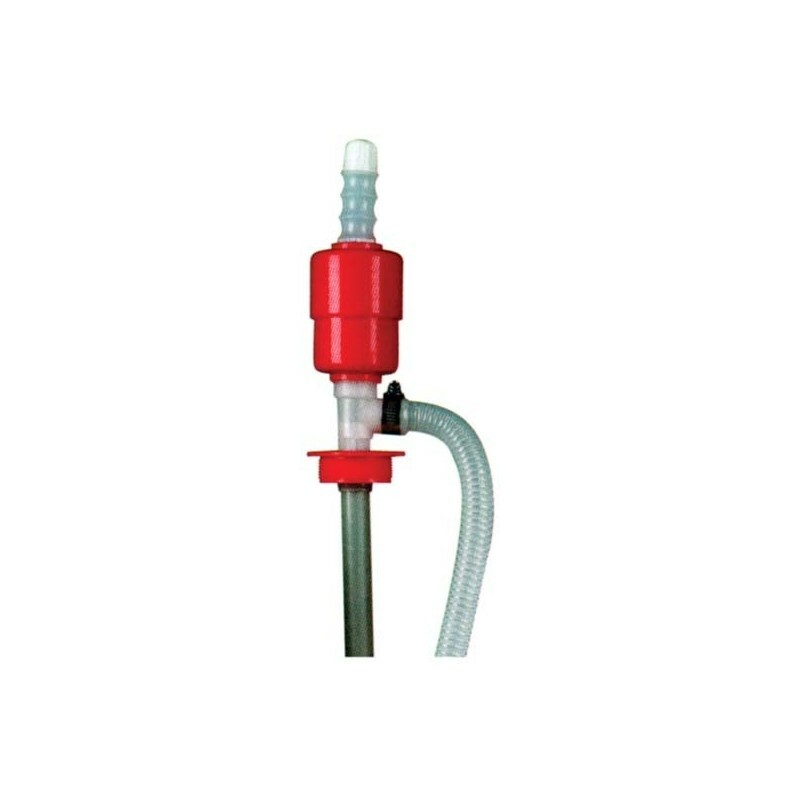 Extended 40" siphon hose reduces splashing and allows for easy transfer of fluids. Bung mounts onto any 55 gallon drum.